Green Santa Clarita has prepared some tips to help you and yours have an eco-friendly holiday season. * Consider LED lights. They use 90 percent less energy than traditional incandescent lights, stay cool to the touch and have a much longer life expectancy. * Place your holiday lights and decorations on a timer to conserve energy. * Carpool when going to holiday parties or events. * Instead of purchasing a gift, donate to a local organization in a friend or family member’s name. * Purchase rechargeable batteries for gifts that require battery power. * Save and reuse gift bags, wrapping paper and bows. * Use your own reusable bags when shopping for gifts or food. * Donate unused, non-perishable food to the local food pantry. * Look for gifts made from recycled content. 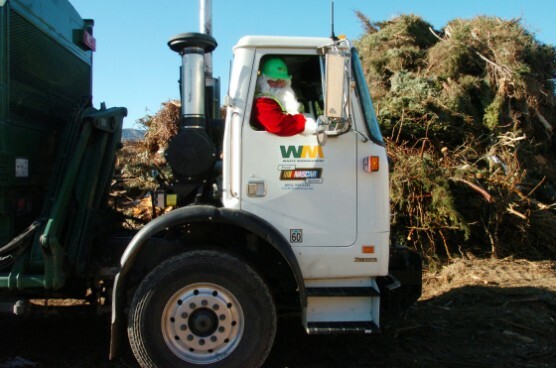 * Recycle cardboard packaging, seasonal catalogs, holiday cards and used wrapping paper. * Donate or recycle unwanted or non-working electronics, including computers, cell phones, tablets and televisions. * Make sure to recycle your holiday tree by placing it at the curb on your regular service day from Dec. 26 to Jan. 12. Remove all decorations, lights, tinsel and tree stands. Flocked trees will be picked up, but cannot be recycled. Stay green in Santa Clarita with GreenSantaClarita.com.